Frederik October 23, 2015 Comment? 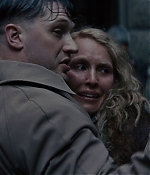 I’ve finally gotten my hands on the Blu-Ray of “Child 44” (available everywhere by now) and have added over 1.000 high quality screencaptures to the photo gallery. The film is not as bad as the critical consensus has sounded, but if you have read the book you wonder why much of its potential has been wasted. Please be aware that the screencaptures contain major spoilers. Frederik June 07, 2015 Comment? 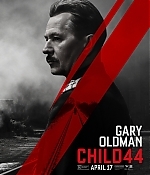 Summit Entertainment and Lionsgate have announced the details for the Blu-ray release of thriller Child 44. 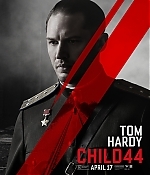 Directed by Daniel Espinosa (Safe House), the film stars Tom Hardy, Gary Oldman, Noomi Rapace, Vincent Cassel, Jason Clarke and Joel Kinnaman and is set for release on August 4th in the States. Special Features will include a “Reflections of History” featurette. After a friend’s son is found dead, Soviet secret-police officer Leo Demidov (Hardy) suspects his superiors are covering up the truth. 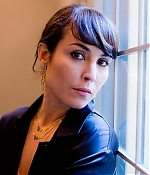 When Leo dares to raise questions, he is demoted and exiled to a provincial outpost with his wife (Rapace). There, Leo soon discovers other mysterious deaths with similar circumstances and convinces his new boss (Oldman) that a deranged serial killer is on the loose-and must be stopped before he strikes again in this electrifying thriller. Frederik May 16, 2015 Comment? 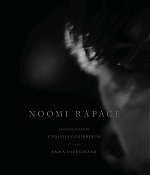 Noomi Rapace is featured with an amazing pictorial in the latest issue of Intermission magazine. Scans have been added to the photo gallery. 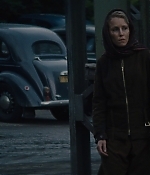 Additionally, a couple of new production stills from “Child 44” have been added as well. Many thanks to Marika for the heads-up. Frederik April 30, 2015 Comment? The press tour for “Child 44” has been quite underwhelming, just like the critics for the film. Besides the London premiere and the Graham Norton appearance, there hasn’t been much spotlight on the film. 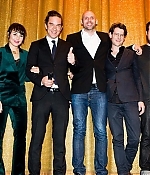 At least, the Swedes have rolled out the red carpet for Noomi and director Daniel Espinosa as the Stockholm premiere took place on April 27. Pictures from the premiere, a photocall earliert that day, and additions from the London premiere have been added to the photo gallery. Frederik April 18, 2015 Comment? 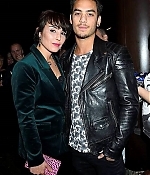 On Thursday, Noomi Rapace has taped an appearance on “The Graham Norton Show”, which was broadcast on Friday, and has later attended the London premiere of “Child 44”, alongside co-star Tom Hardy. Pictures have been added to the photo gallery with much more to come. Also, a couple of fantastic new scans have been added as well. Frederik April 04, 2015 Comment? 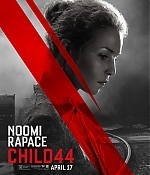 The b-roll for “Child 44”, as well as an on-set interview with Noomi, have been published to release the film’s theatrical release this April (it’s finally coming after all this time). I’m sure there’ll be lots of additional promotion the coming days. Screencaptures from the promotional material has been added to the photo gallery. Many thanks to Marika for bringing this to my attention. Frederik March 29, 2015 Comment? 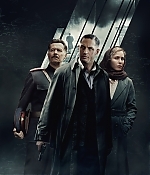 A great batch of new production stills for “Child 44” have been added to the photo gallery, alongside new character posters and international posters for the film. Many thanks to Marinka for helping with those.